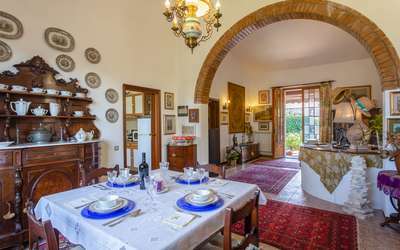 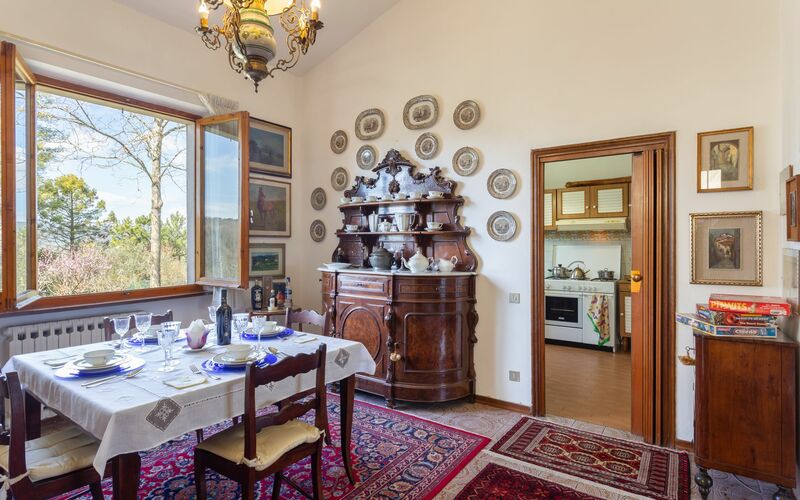 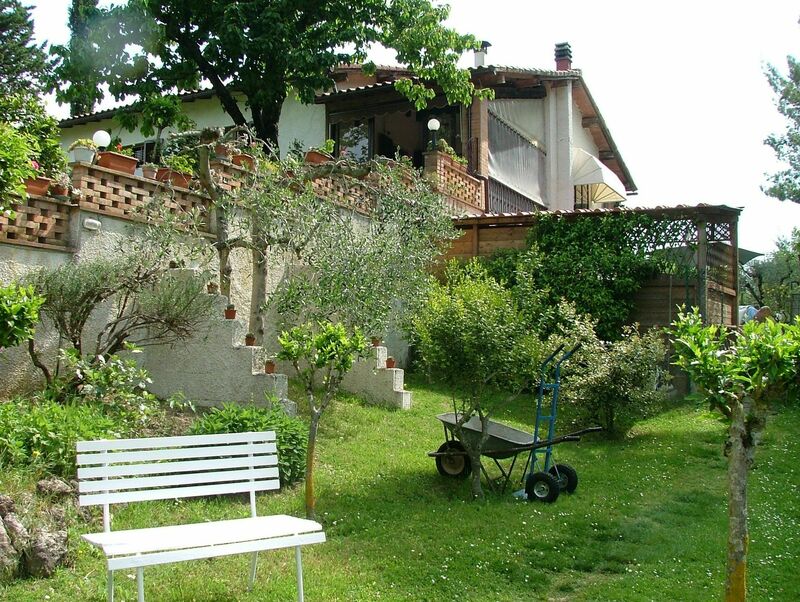 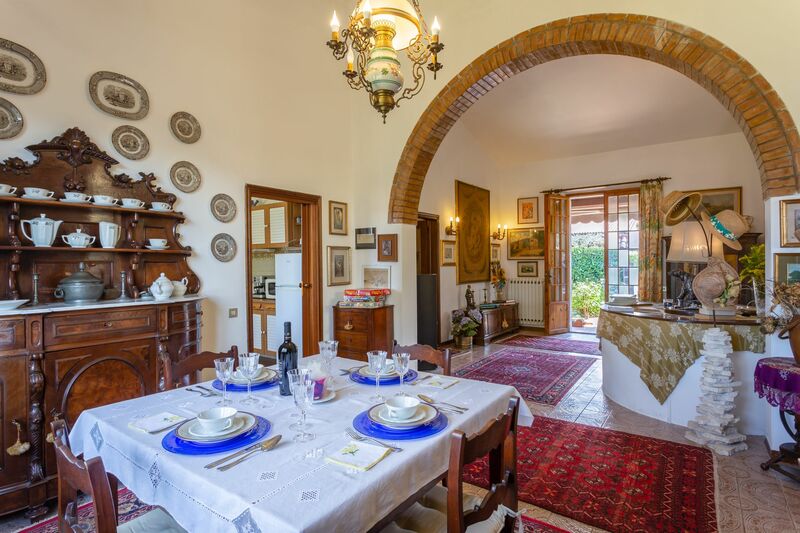 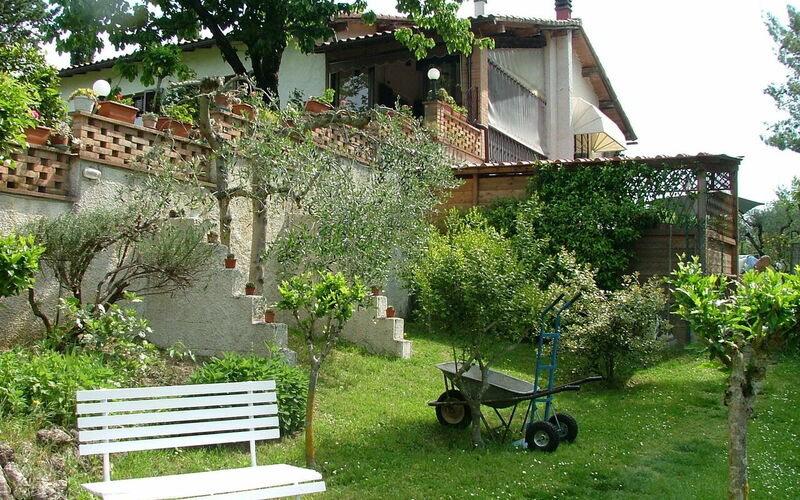 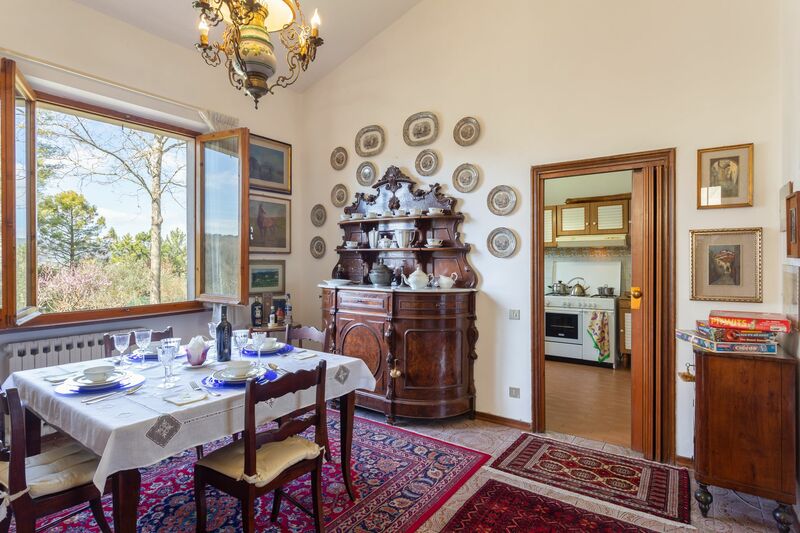 Pretty house immersed in the green of the Tuscan countryside between Colle Val d'Elsa and Castel San Gimignano, from which you can enjoy an enchanting view over the beautiful valley. 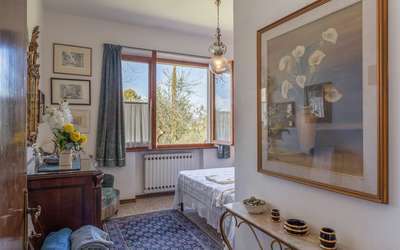 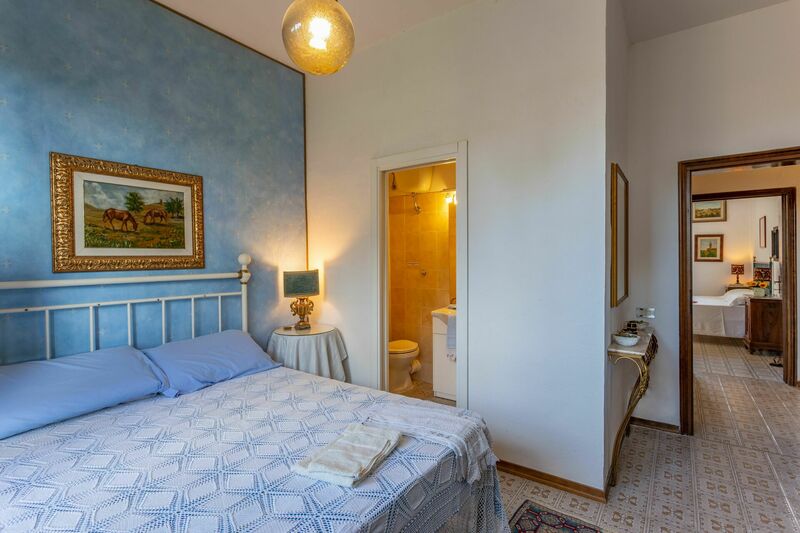 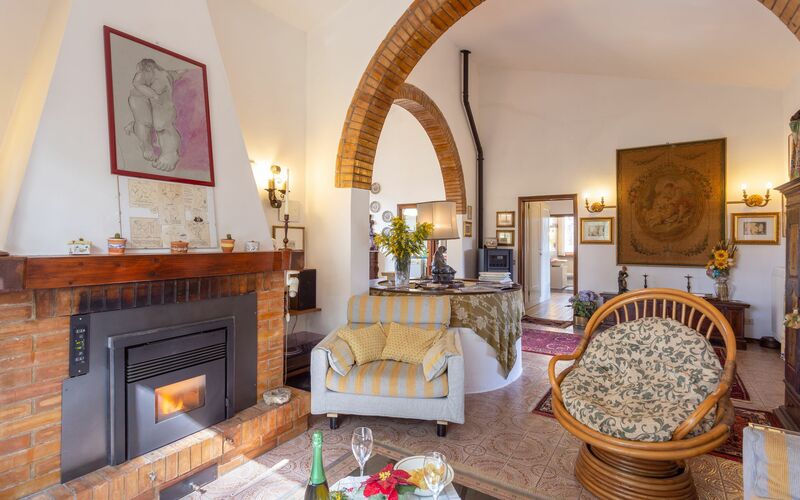 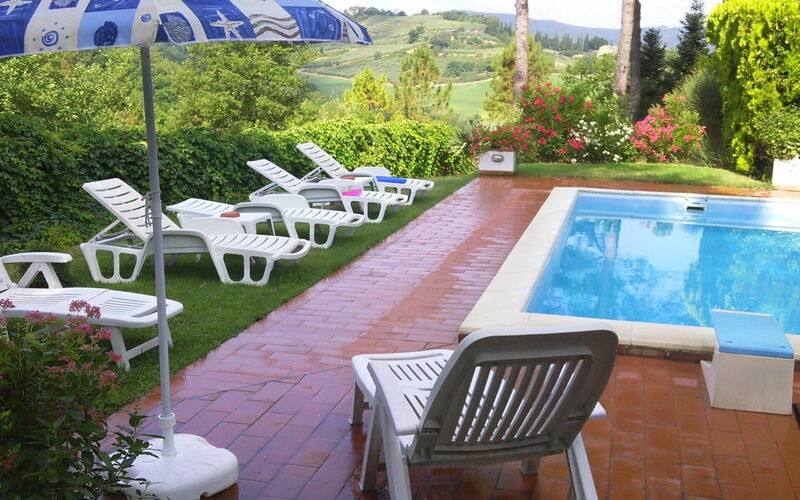 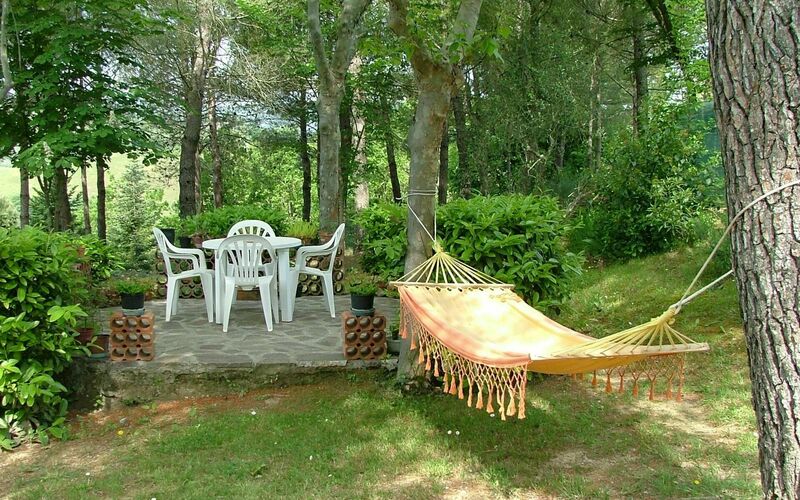 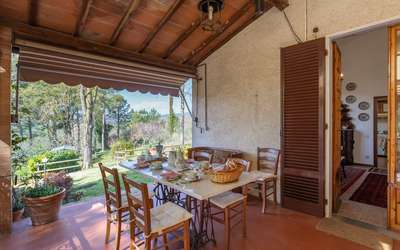 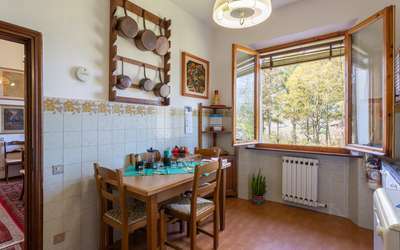 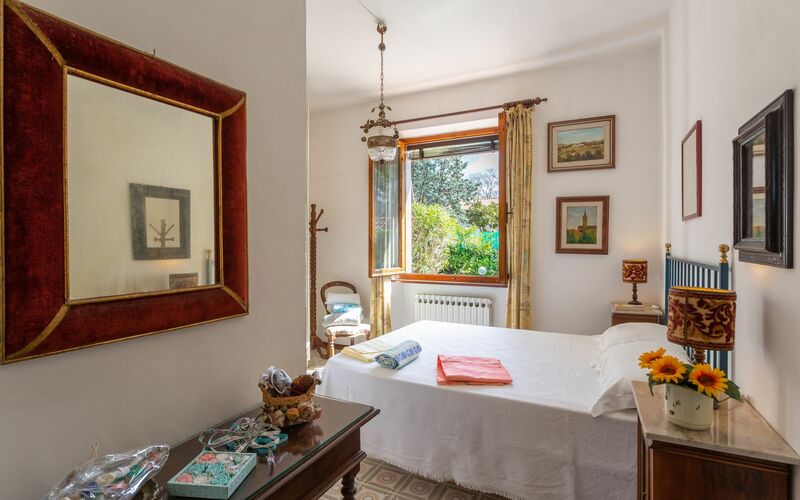 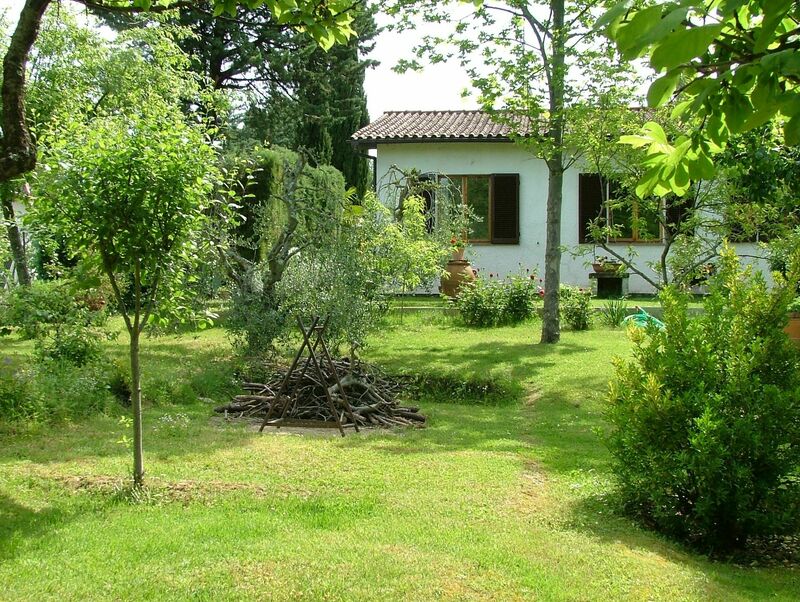 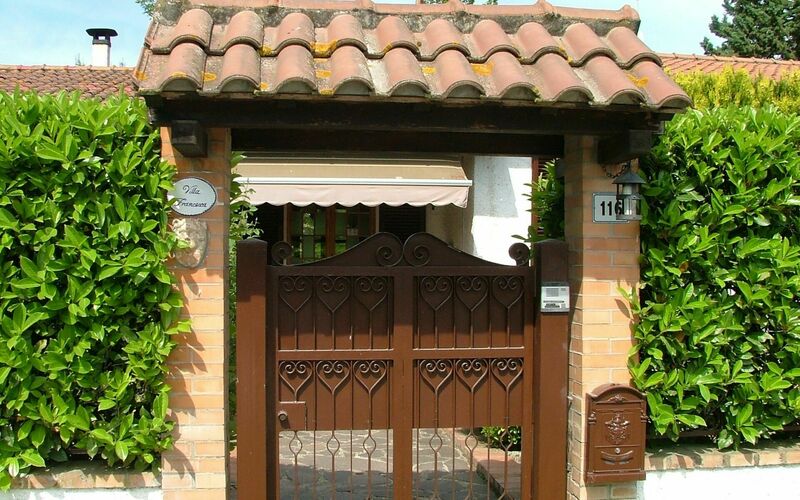 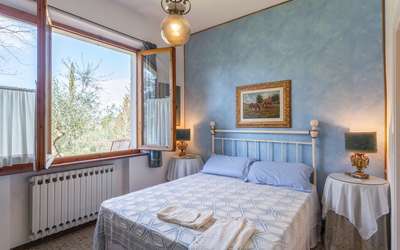 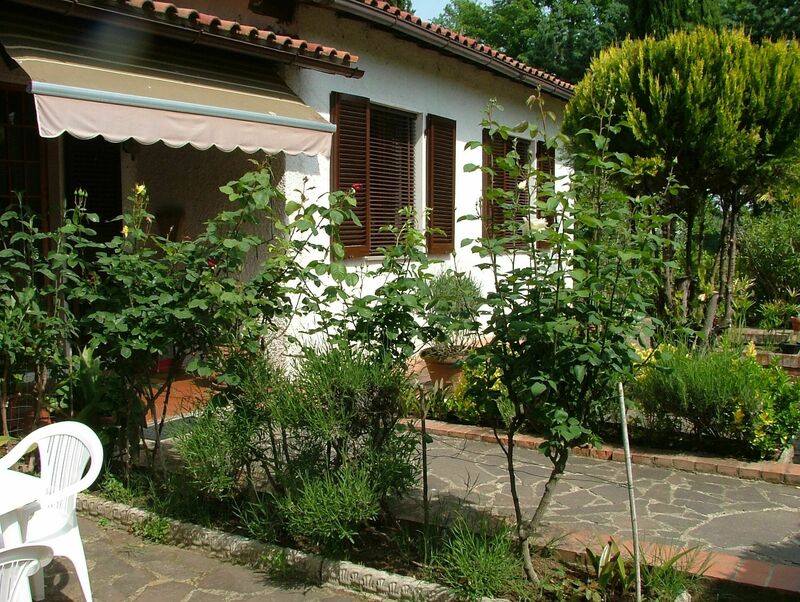 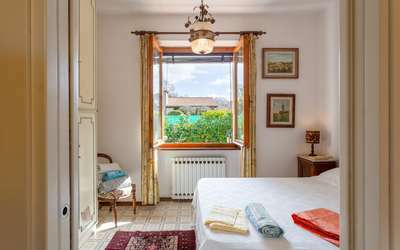 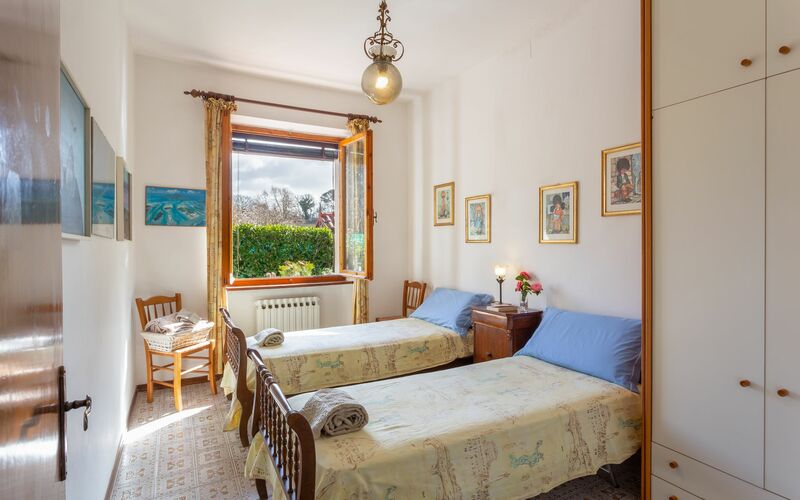 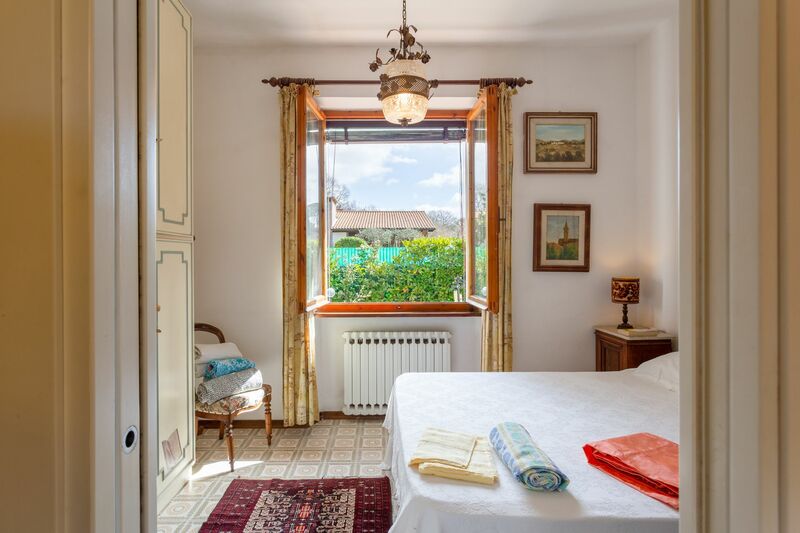 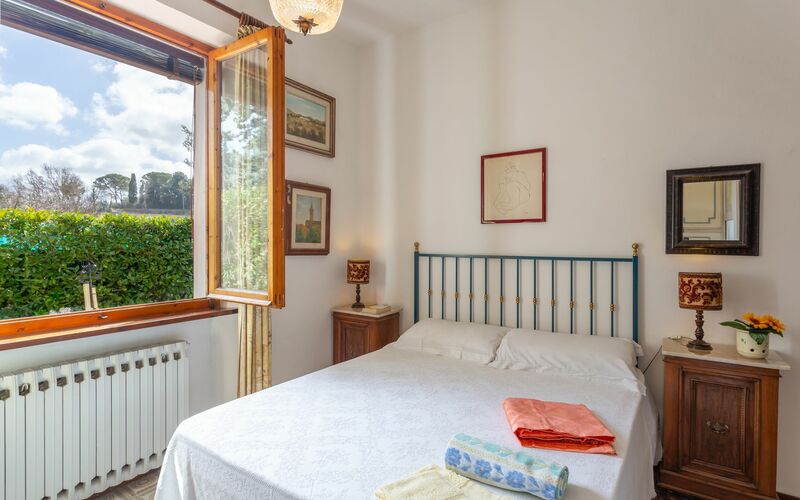 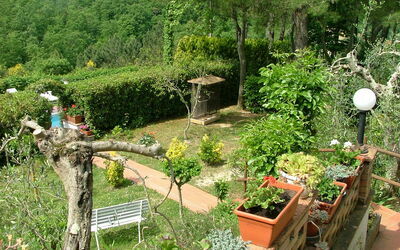 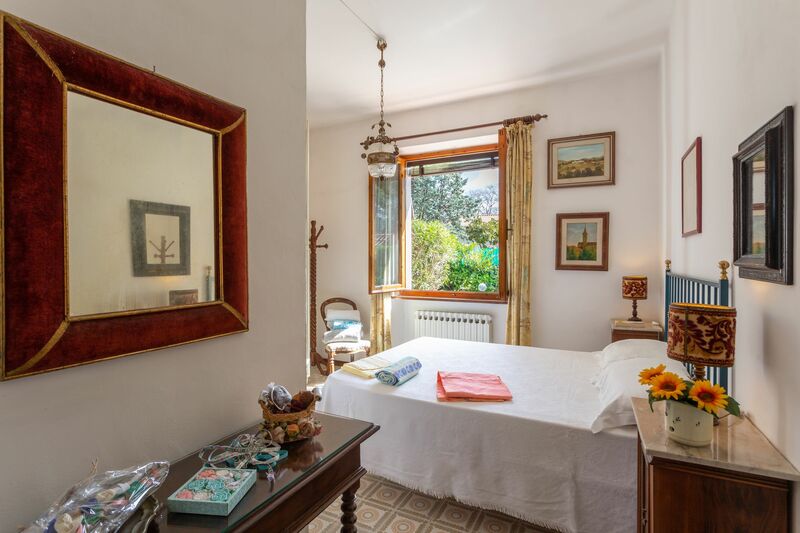 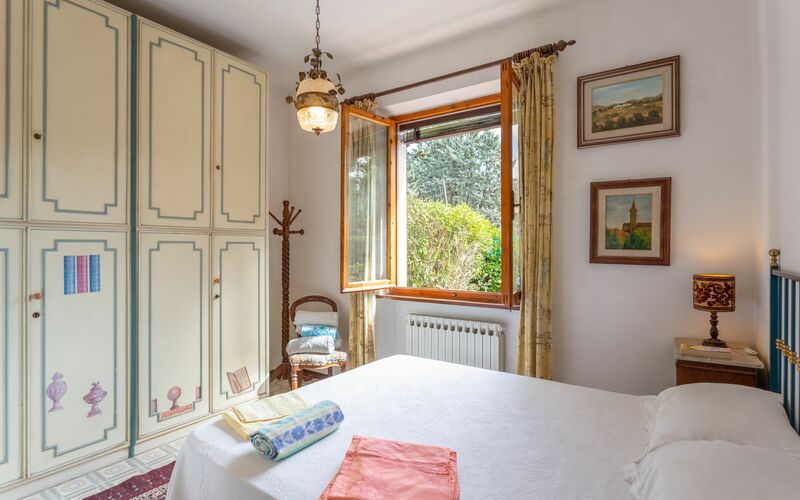 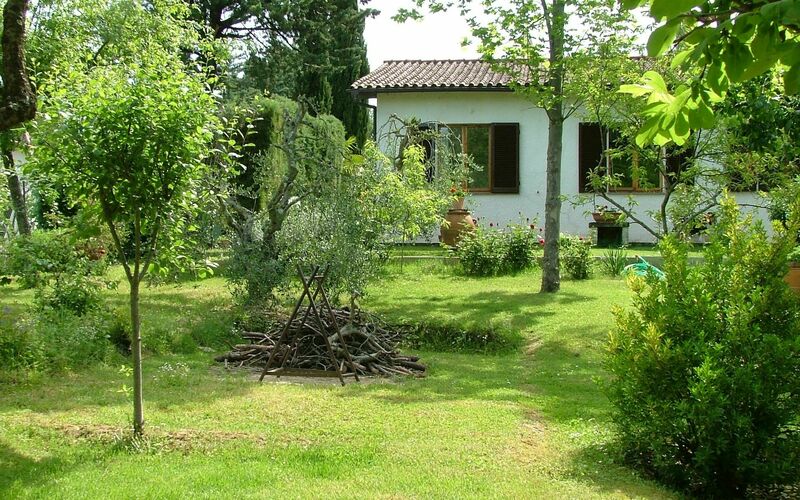 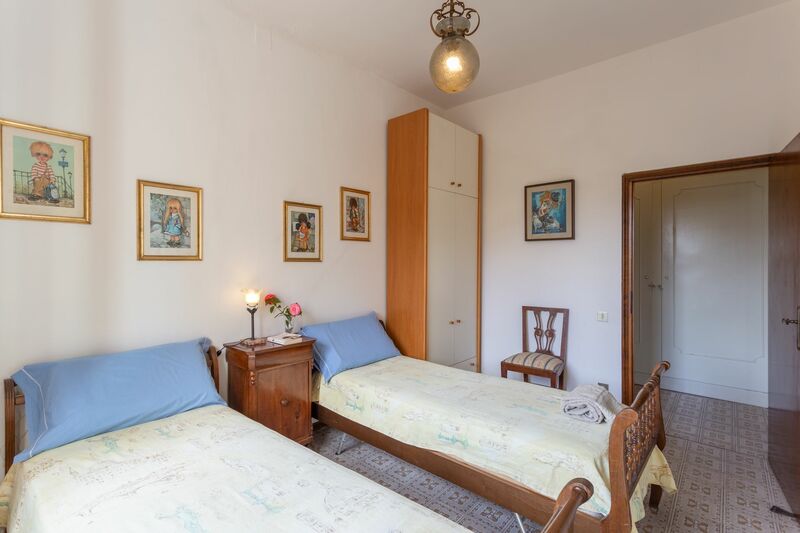 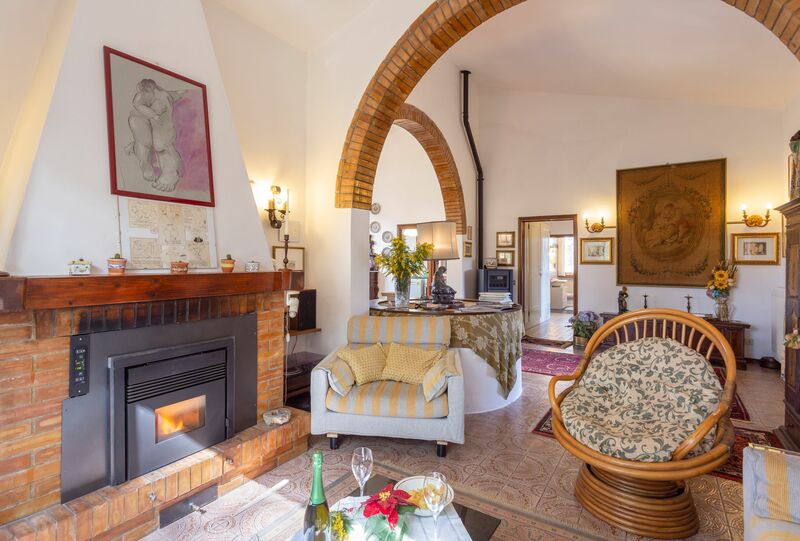 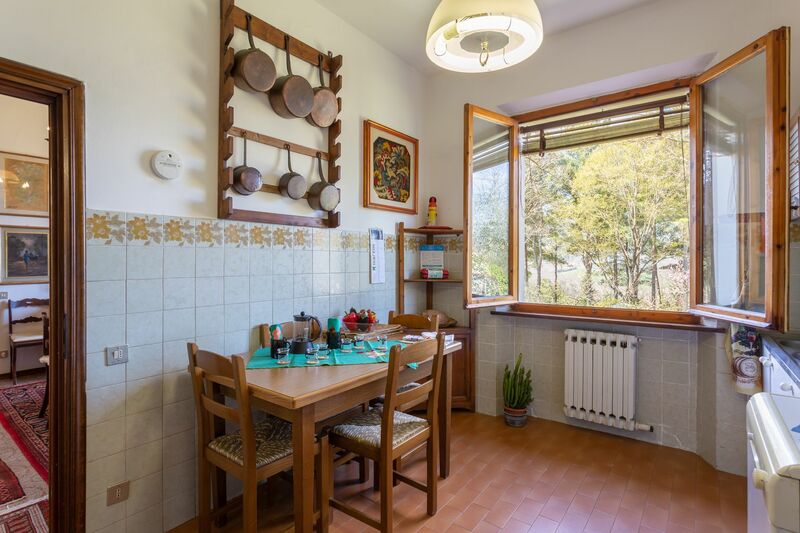 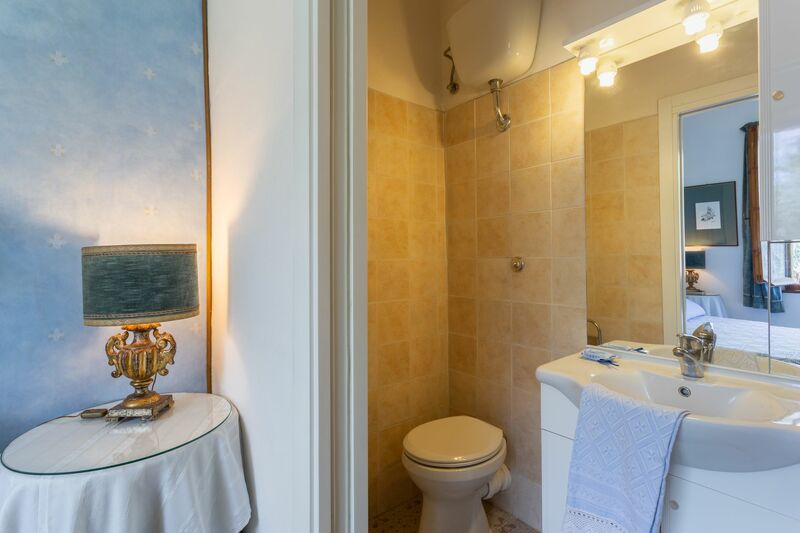 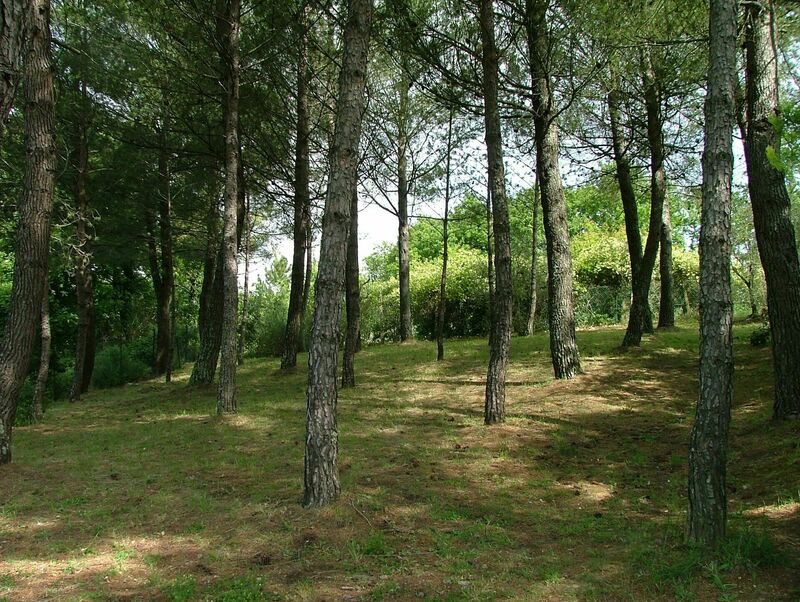 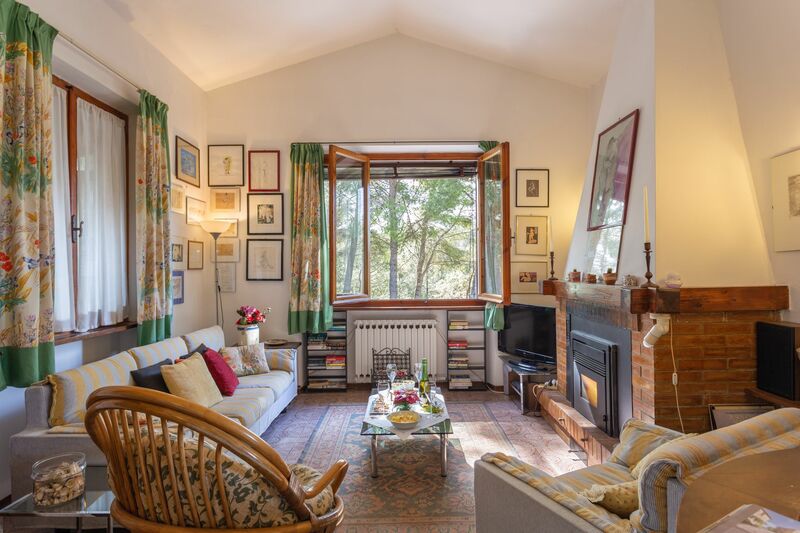 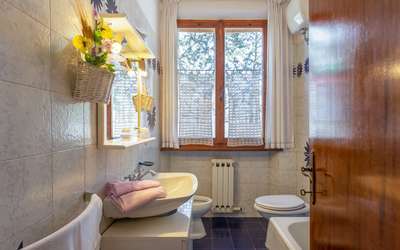 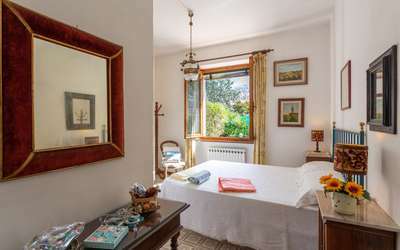 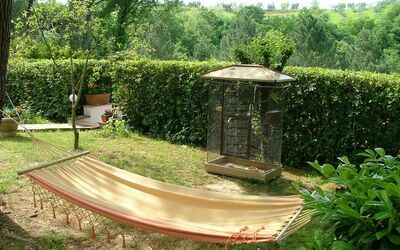 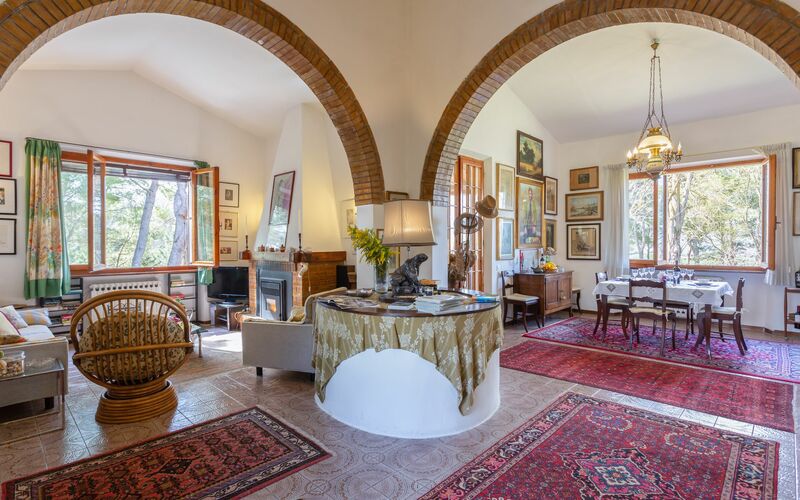 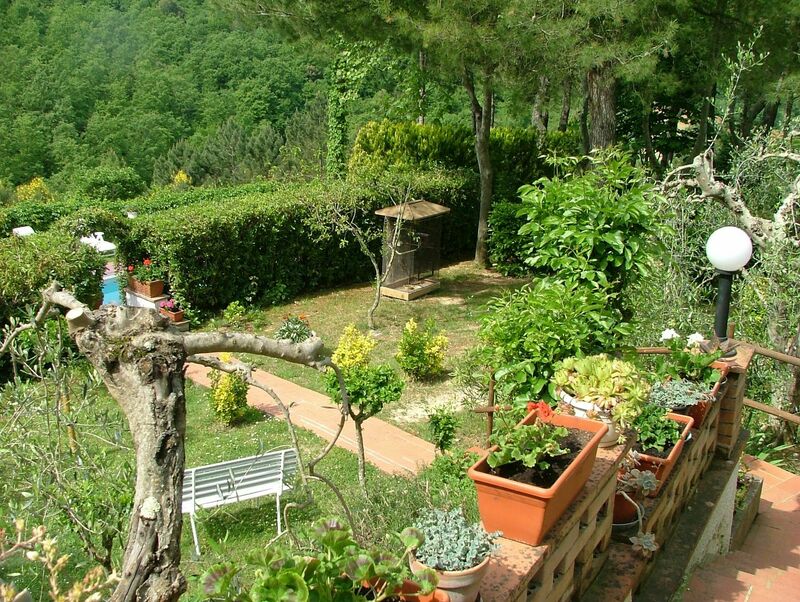 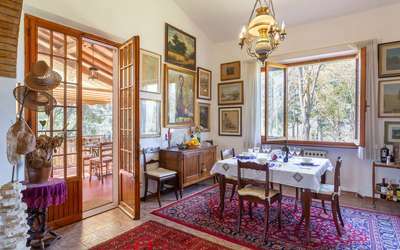 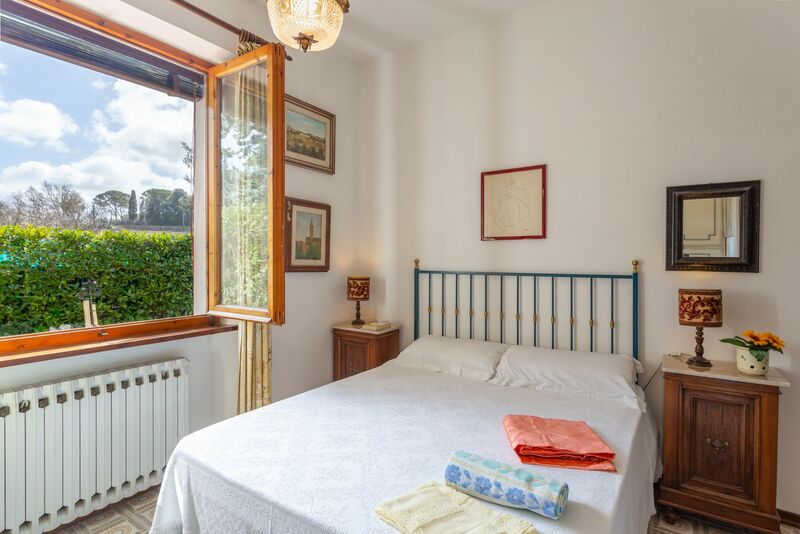 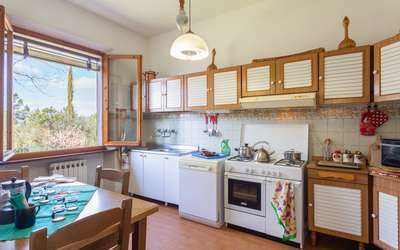 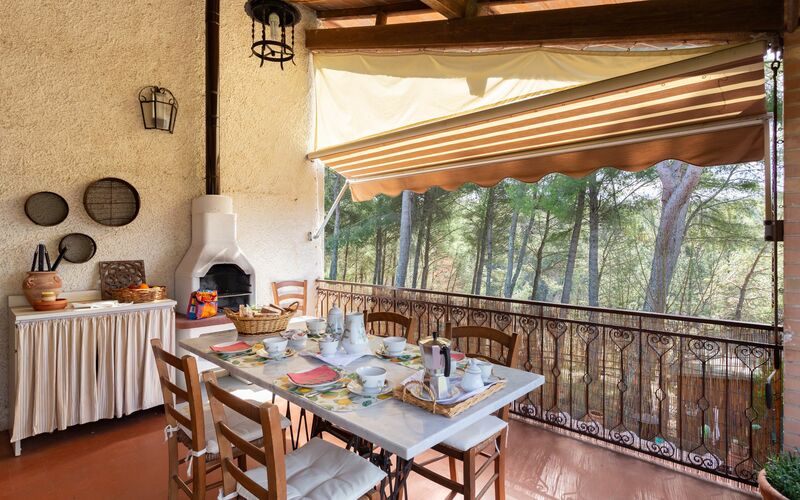 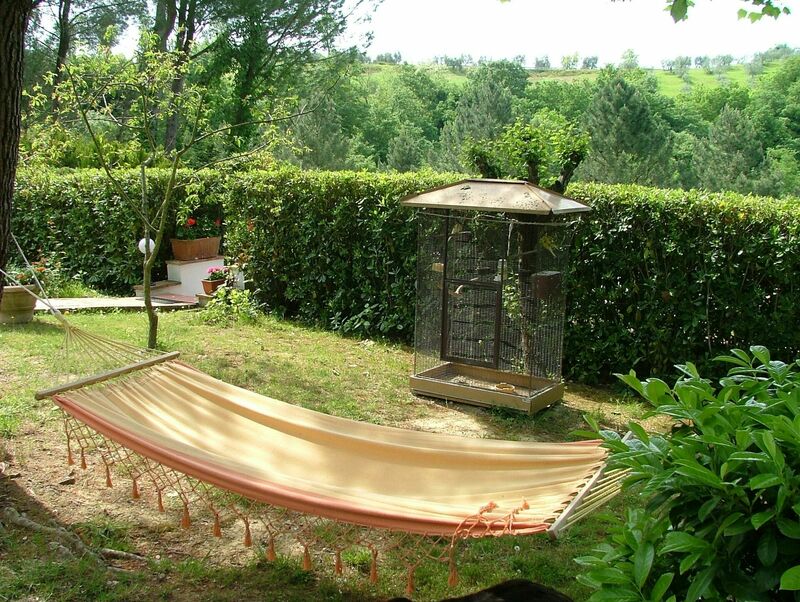 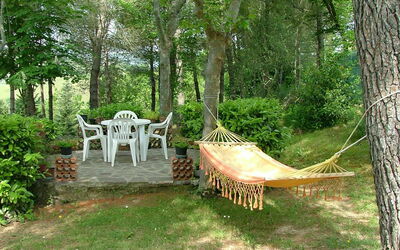 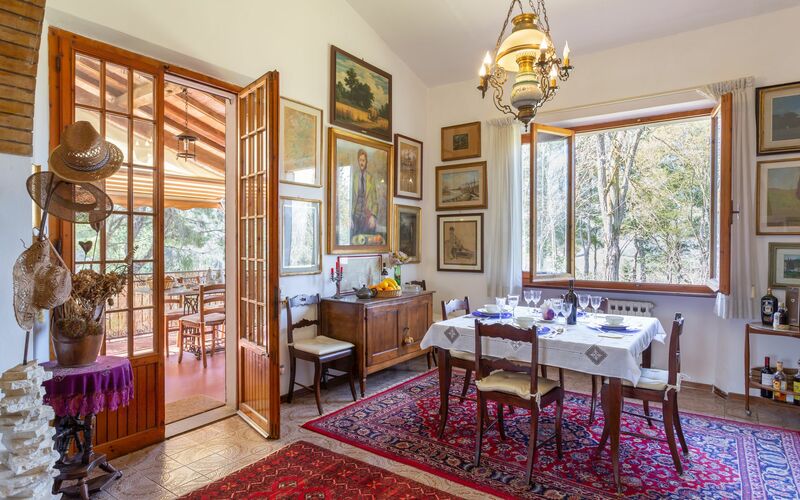 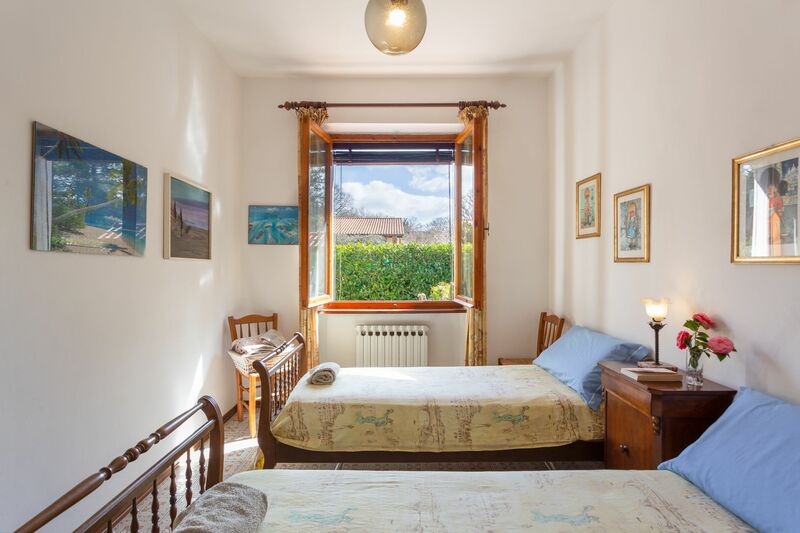 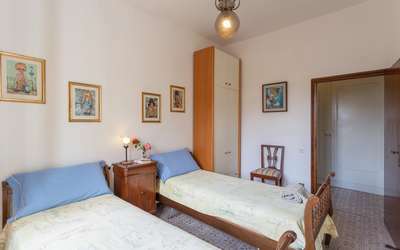 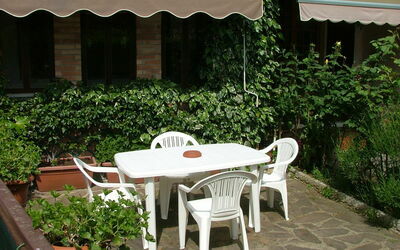 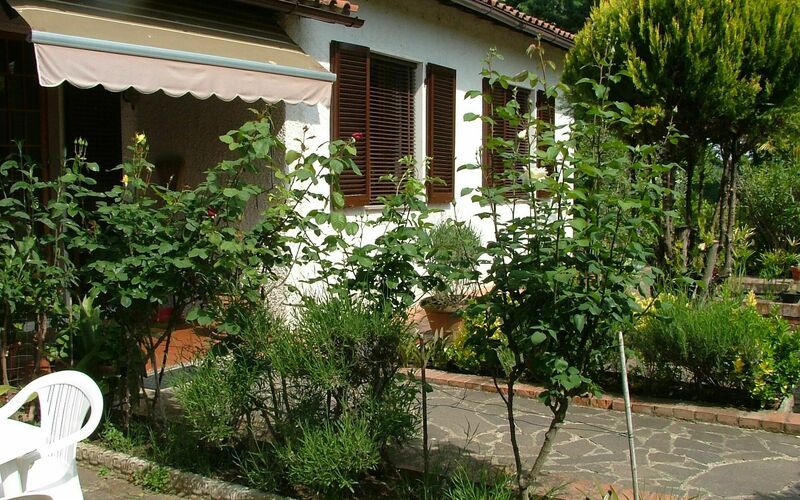 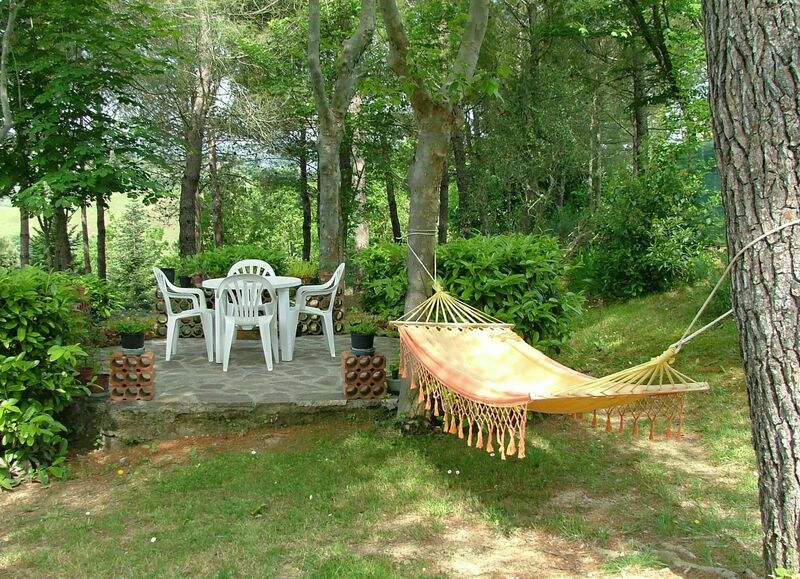 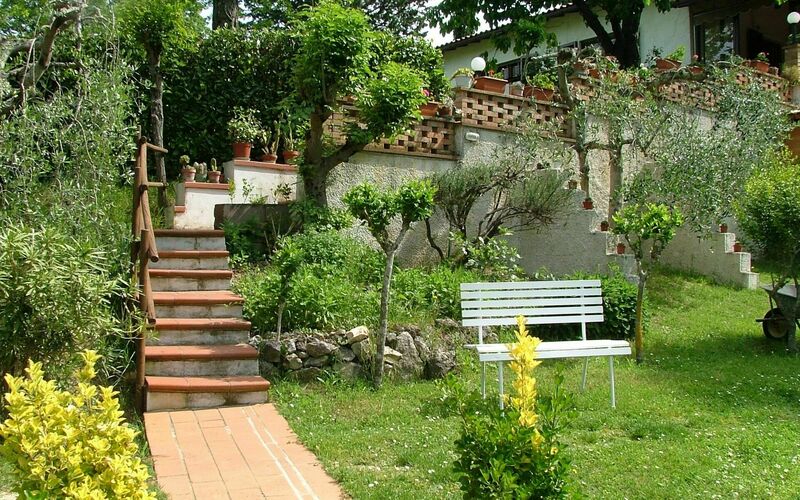 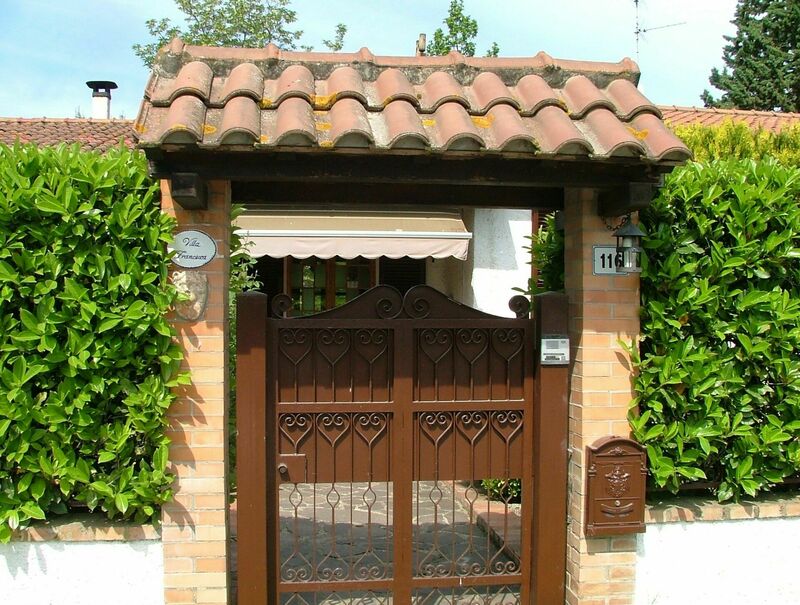 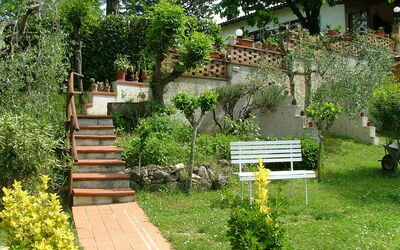 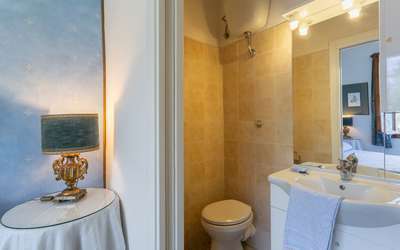 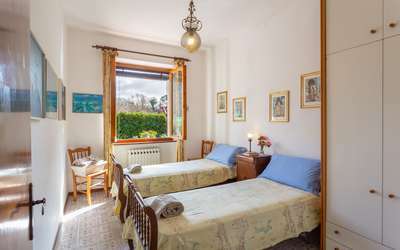 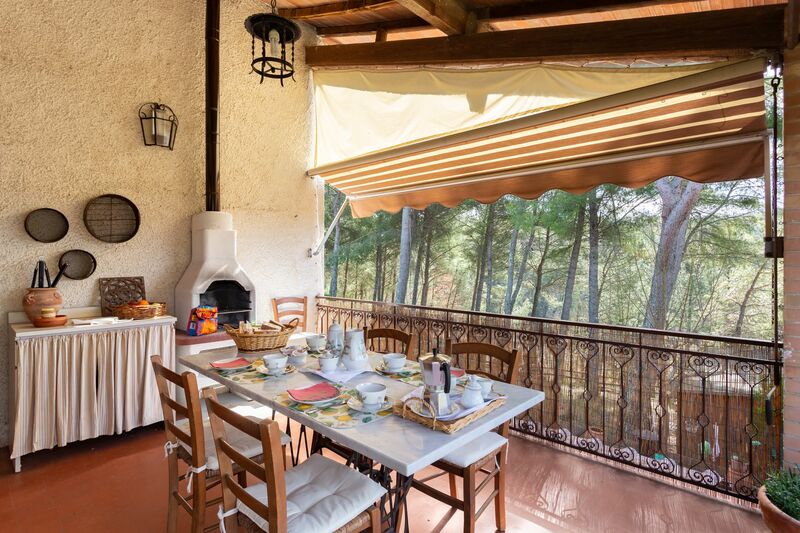 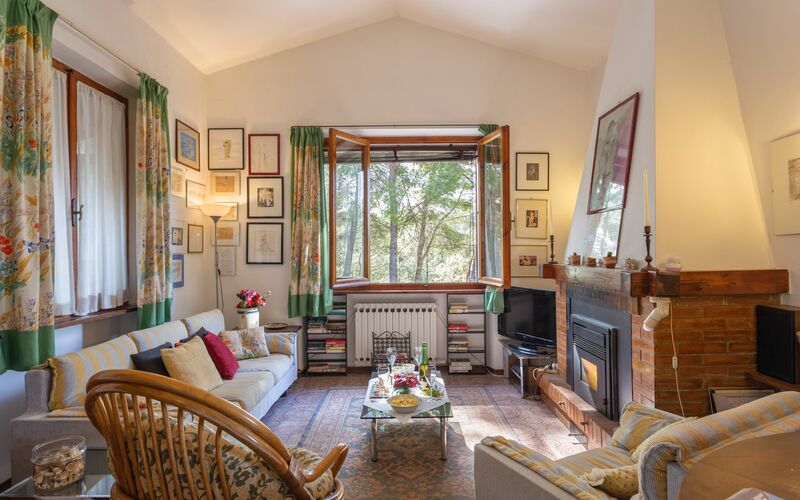 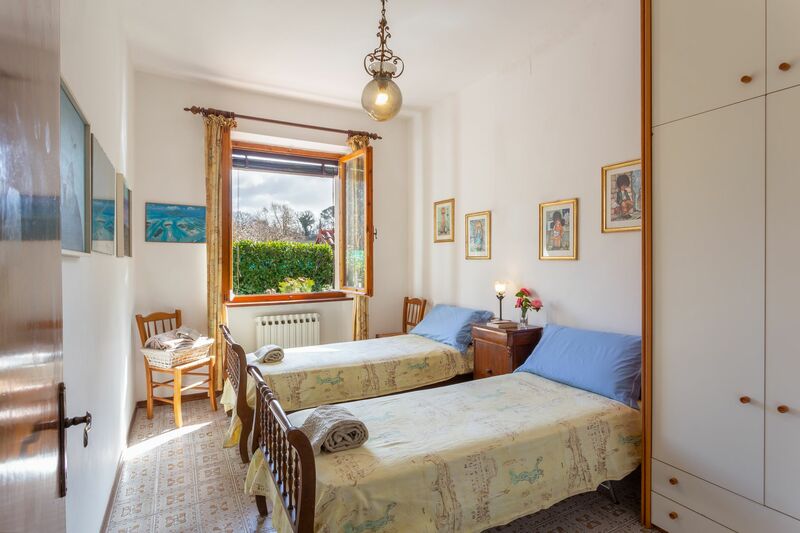 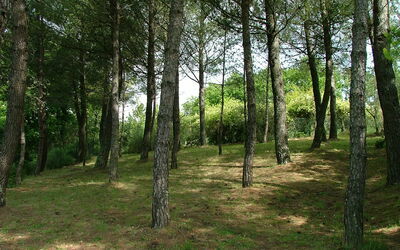 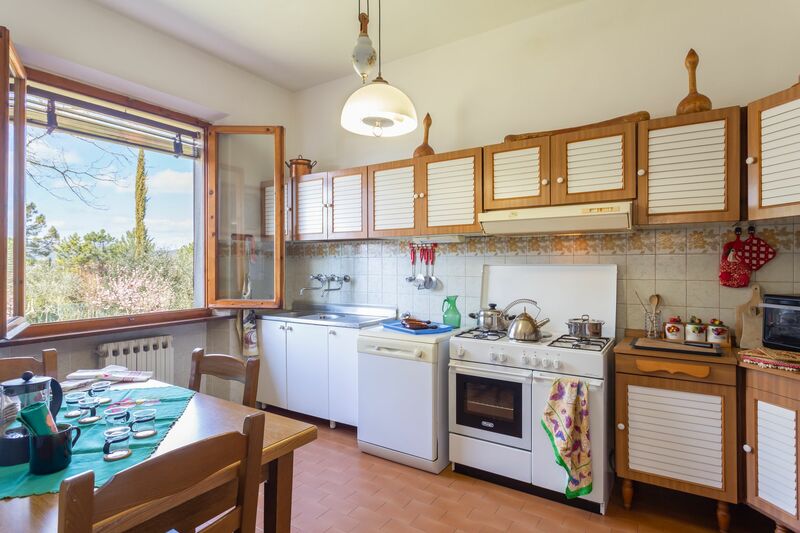 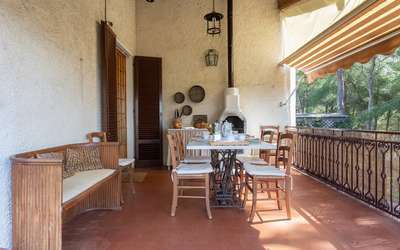 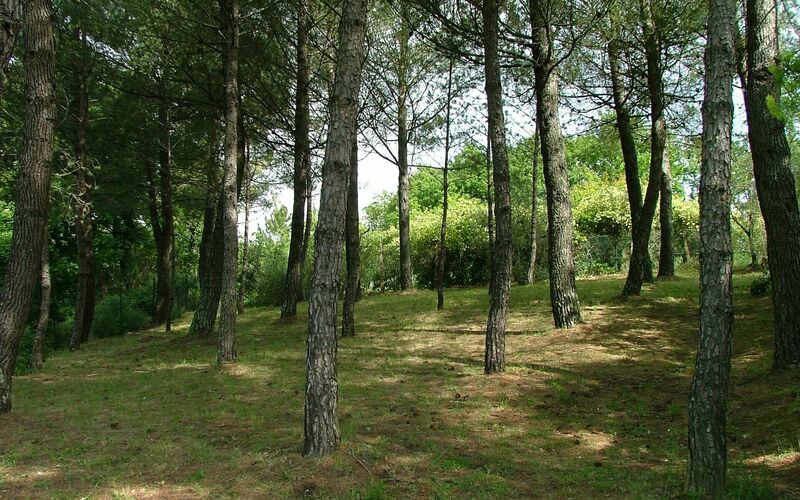 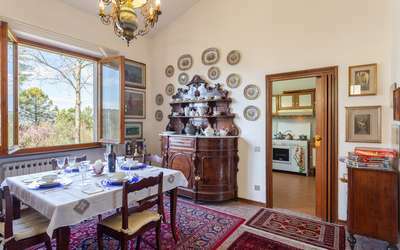 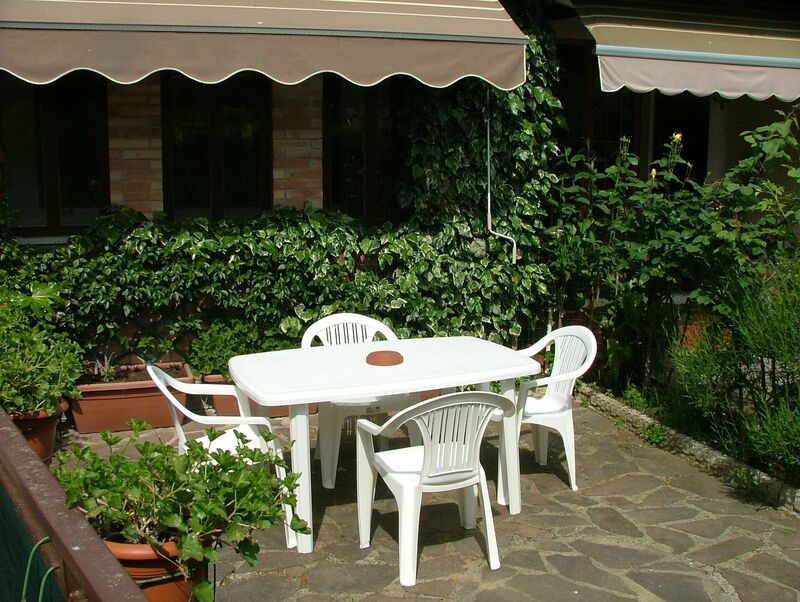 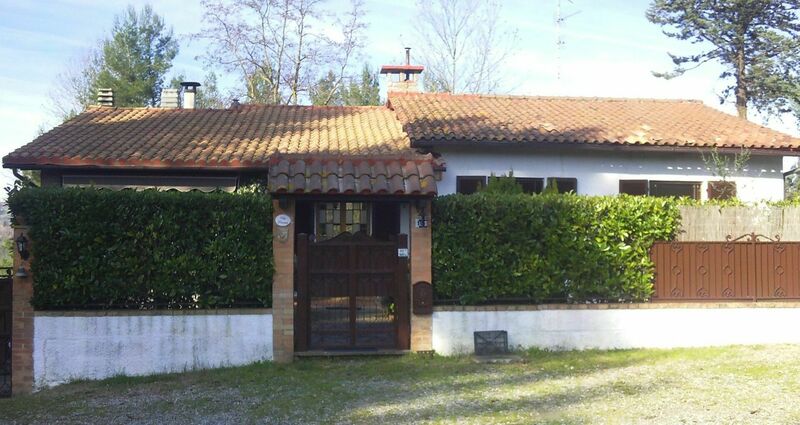 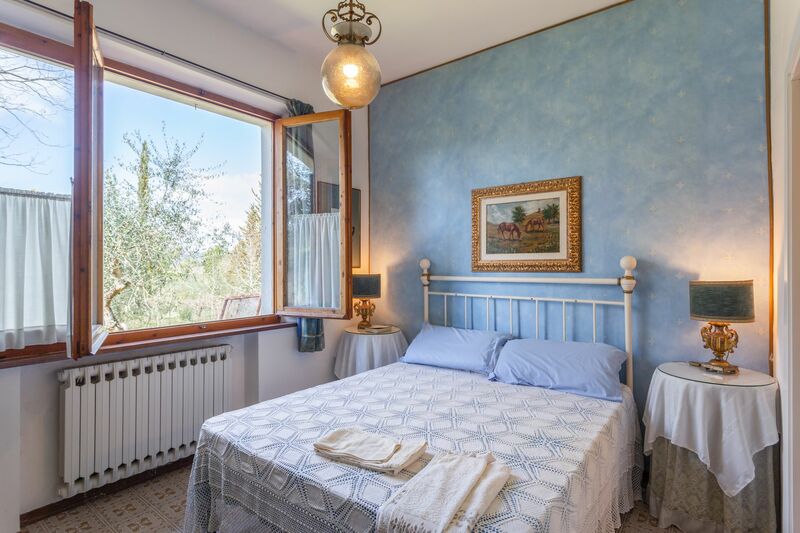 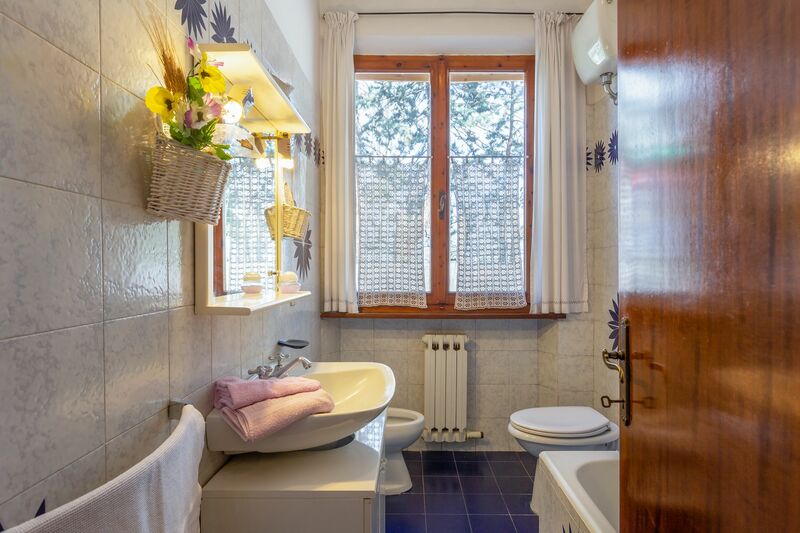 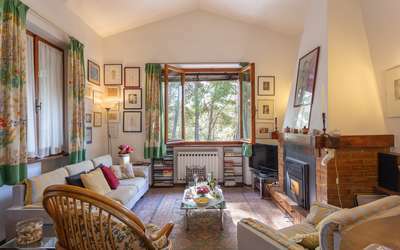 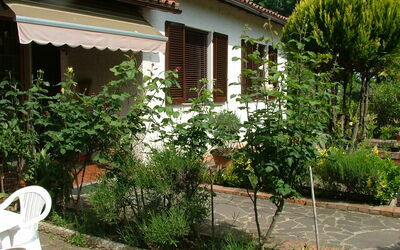 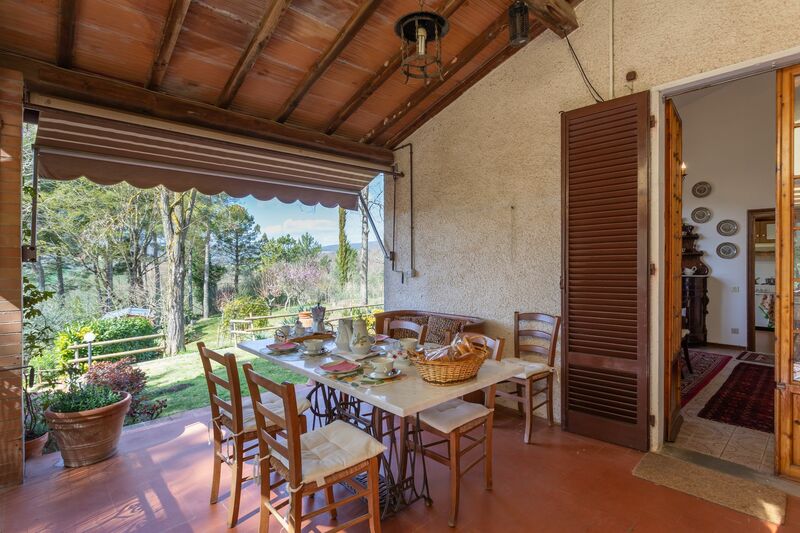 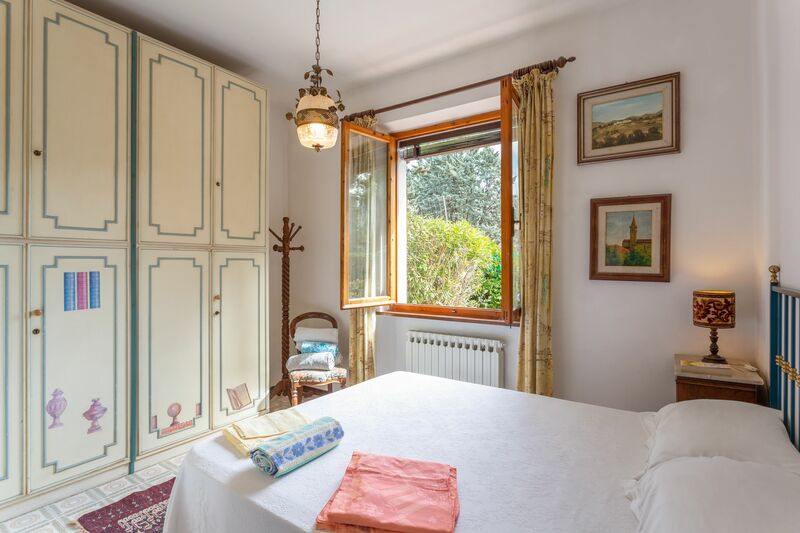 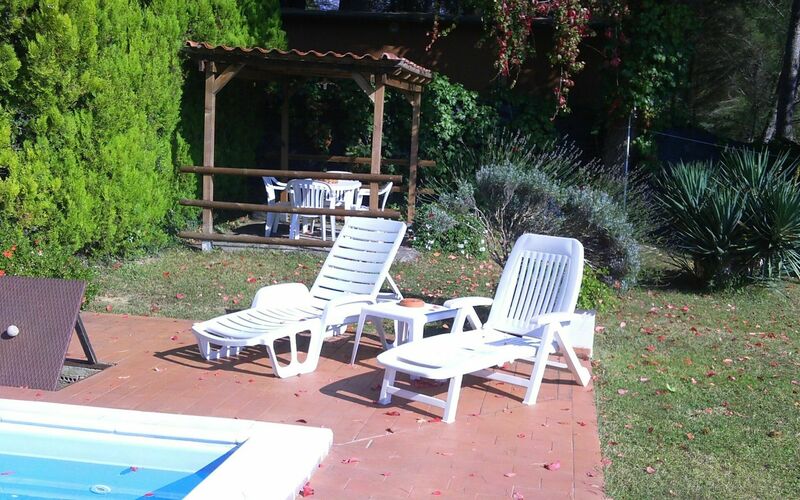 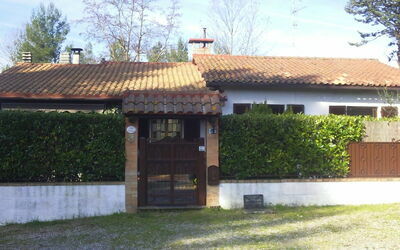 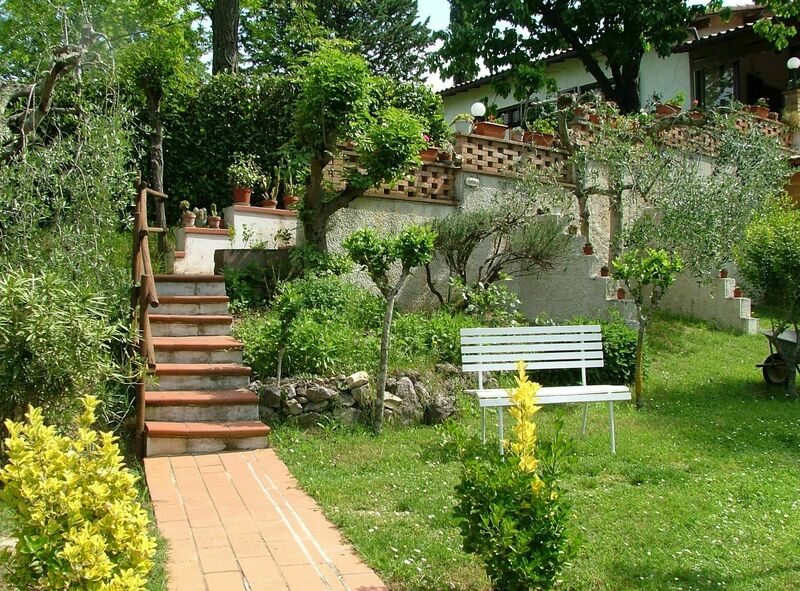 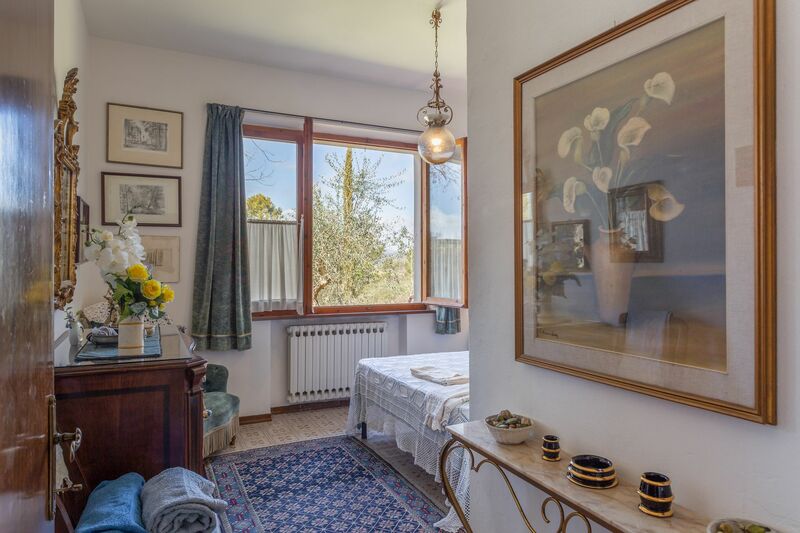 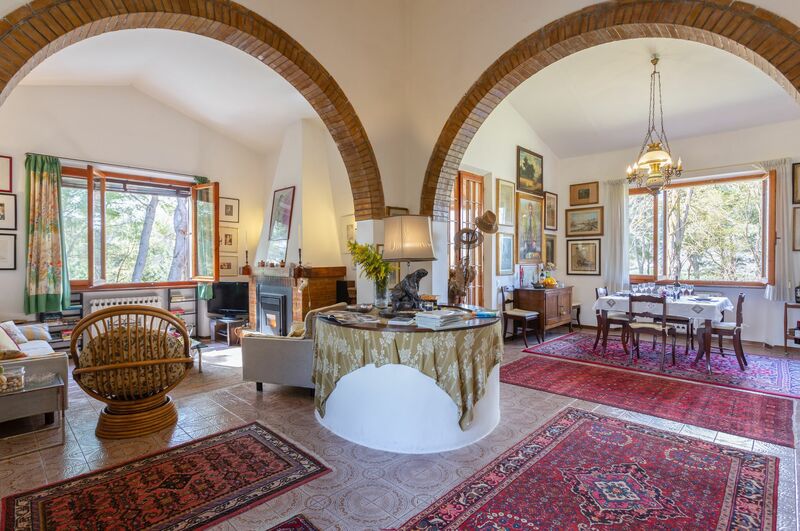 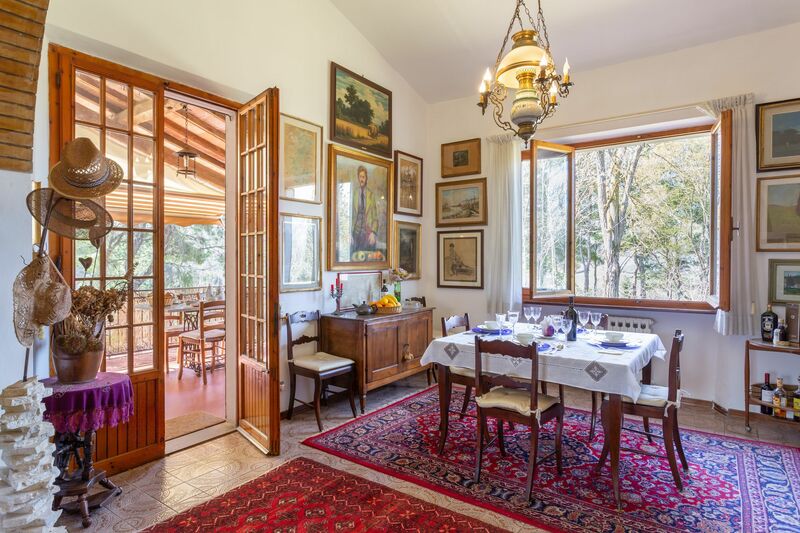 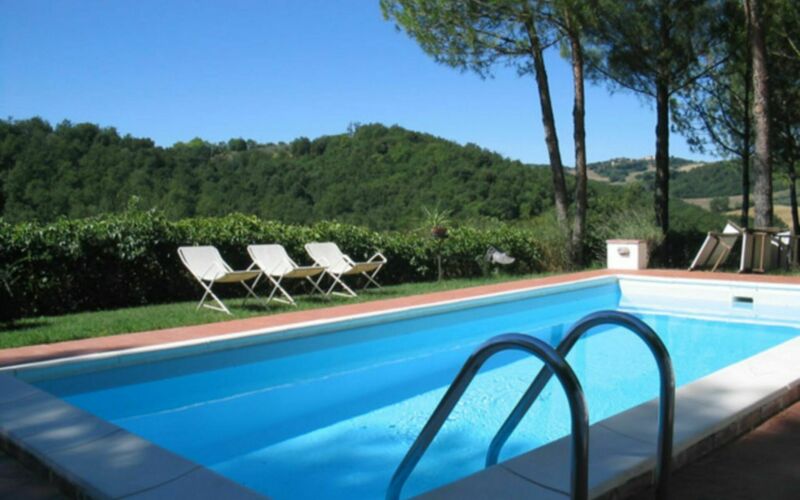 The villa, which develops on one floor, has a comfortable and well-kept furniture, while outside it has a large park with numerous fruit trees, cypress, pines and olive trees. 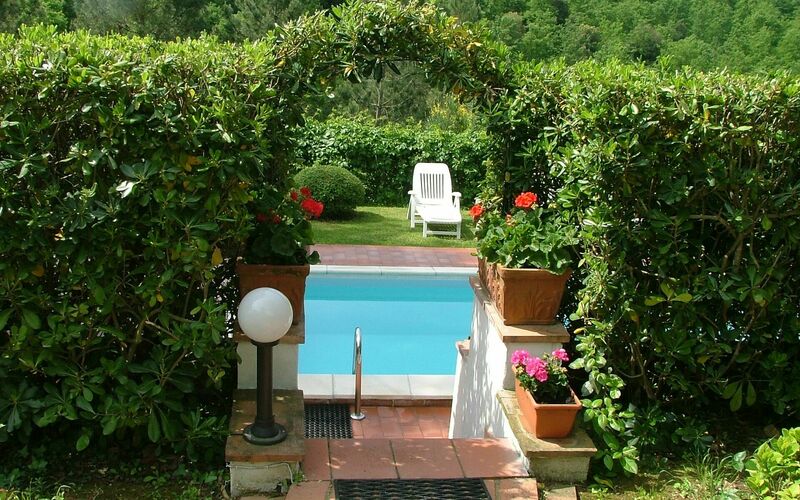 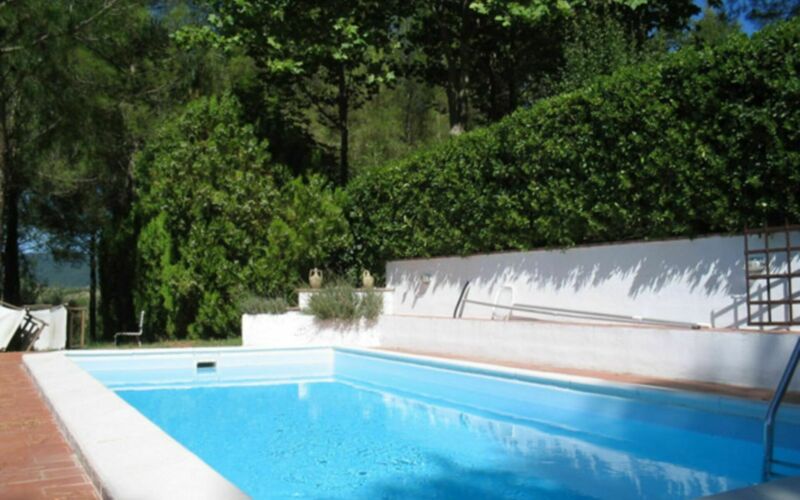 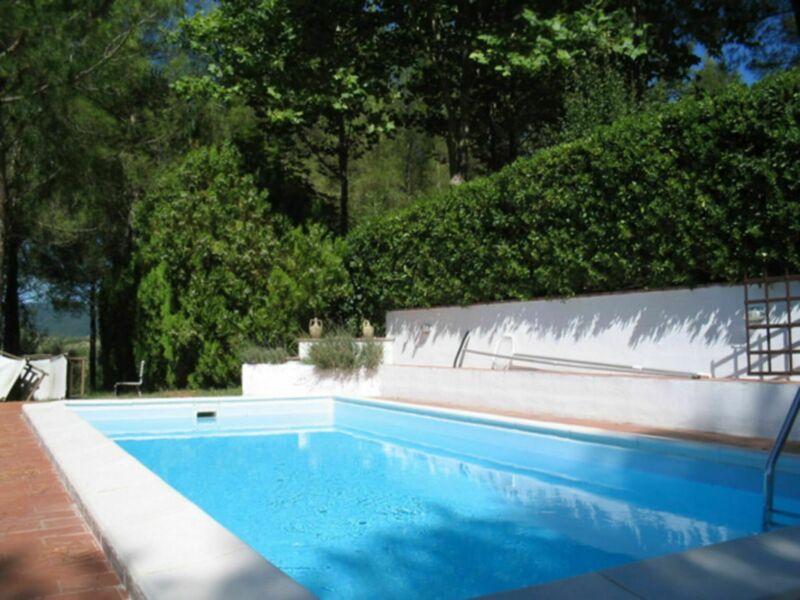 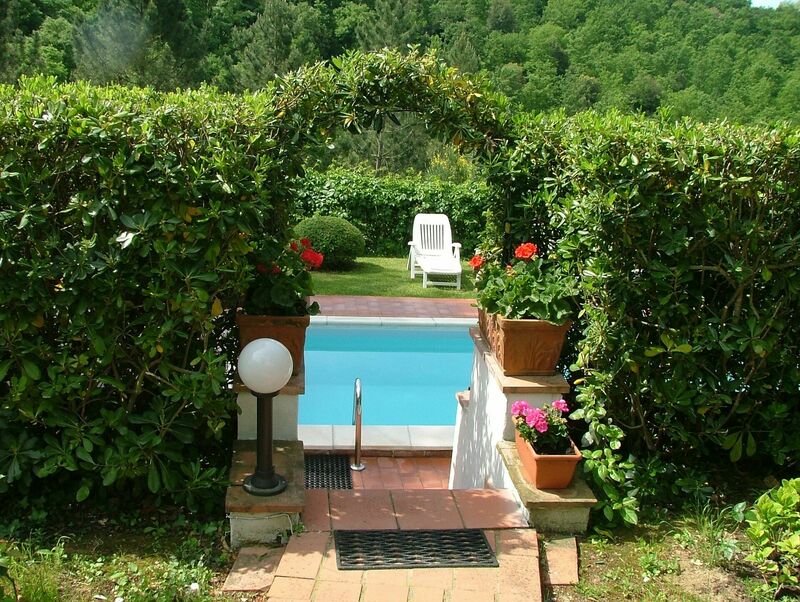 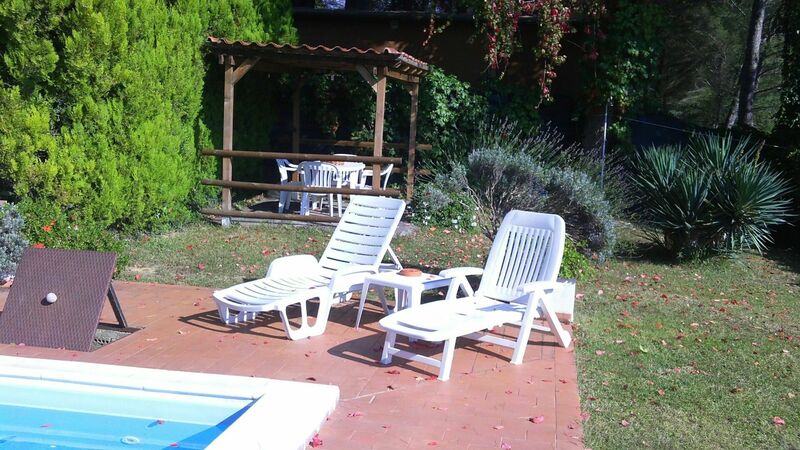 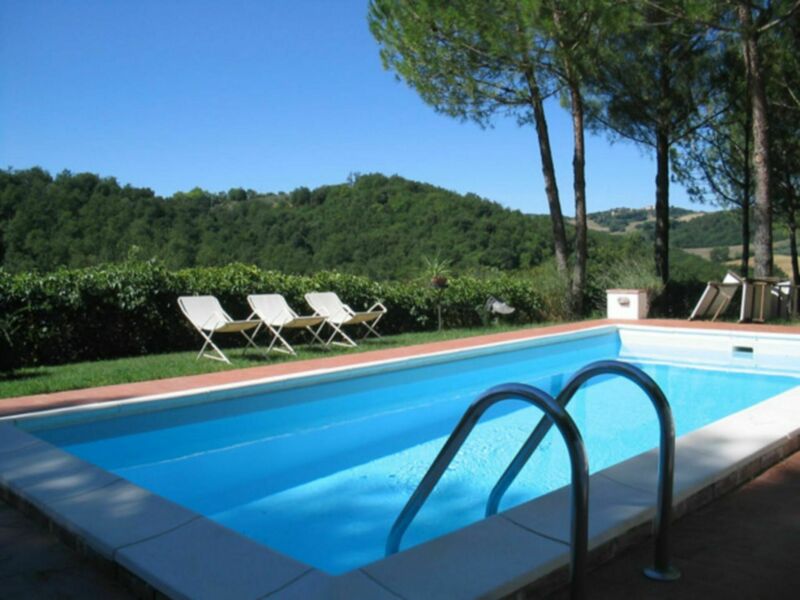 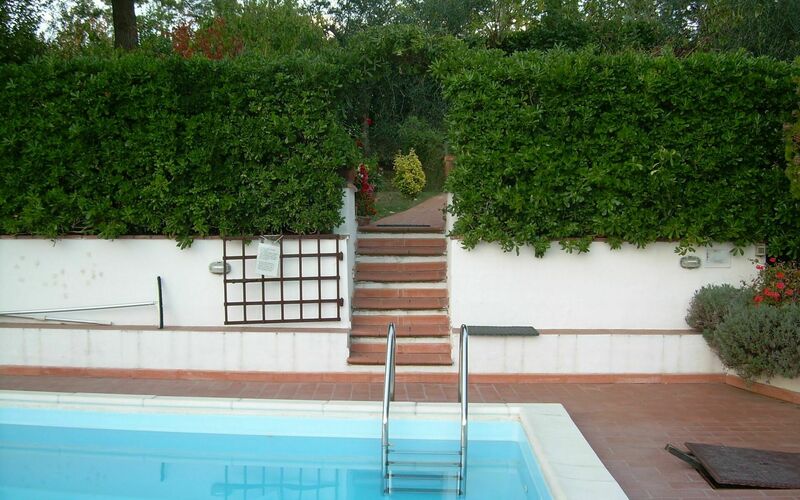 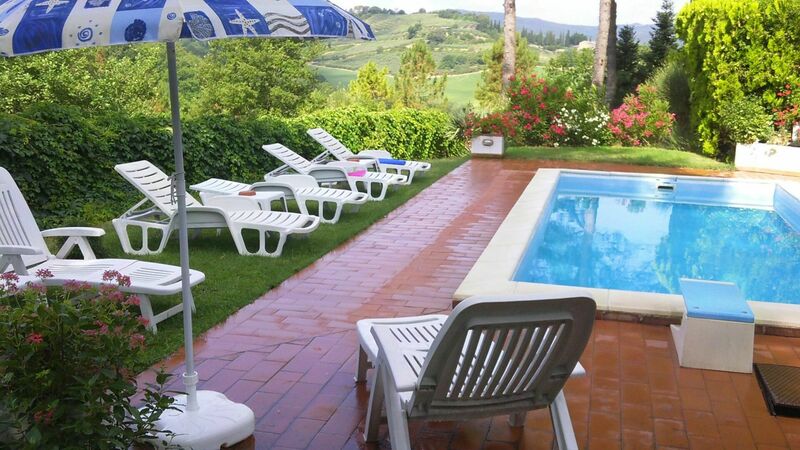 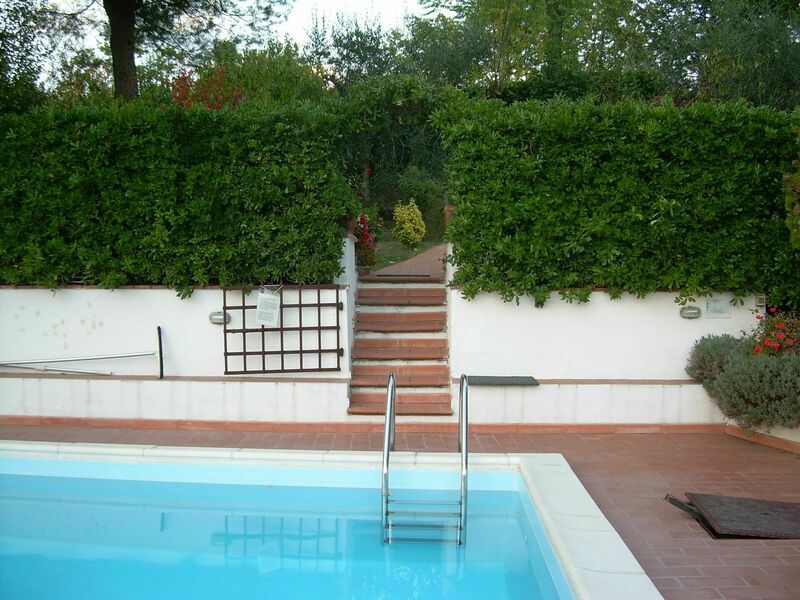 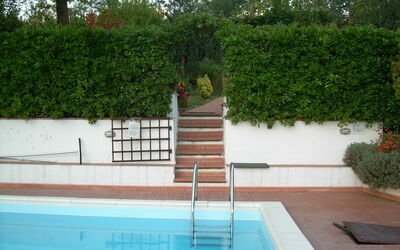 There is also a private swimming pool (7m x 4m – prof. 1.50m) for the exclusive use of guests, where you can relax, sunbathe and maybe read a book. The owners, friendly and at the same time discrete, live in an annex in the basement and are available to help, if necessary. Ground floor: large living room with fireplace and satellite TV; dining room leading to a covered terrace overlooking the garden; kitchen (fridge, freezer, dishwasher, electric oven, microwave); 3 double bedrooms, two of them with bathroom with shower; 1 bathroom with shower.